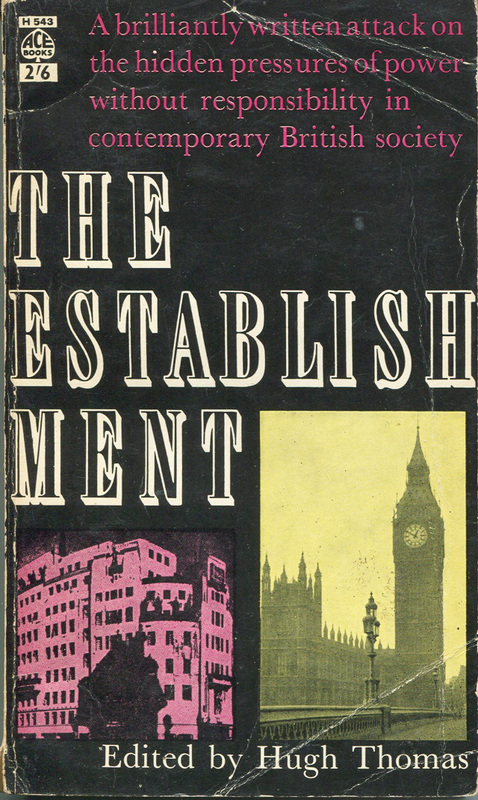 Sorting out some old books a few days ago, I noticed this wonderful back cover on a paperback, The Establishment, published by Ace in 1962. No need for a blurb when you can quote paragraphs from four separate reviews in serious papers. 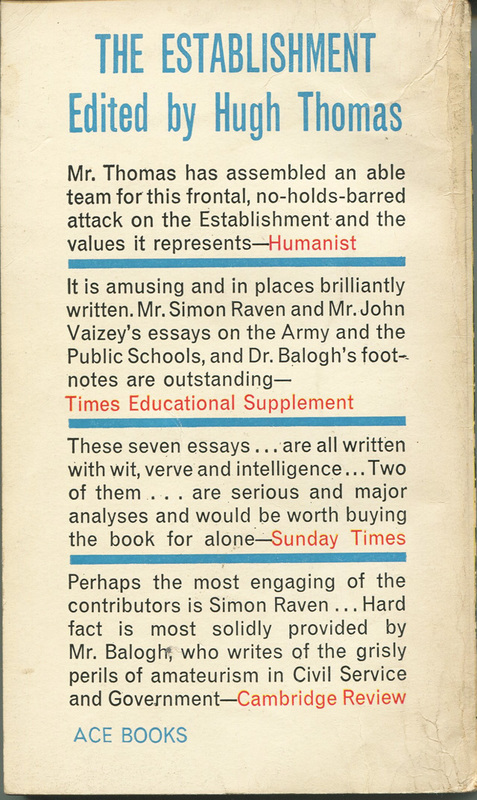 Finest of these is surely that from the TES: ‘… amusing and in places brilliantly written… Dr Balogh’s footnotes are outstanding’. In the days of hot metal typesetting footnotes like these must have been a nightmare to sort out. But throughout the chapter, they are very precisely fitted – indeed, on one page the footnote takes up all but seven lines of the text. One might wonder whether the great economist was asked to cut or expand them to fit the pages, although I somehow doubt he would have got involved in such frivolity. 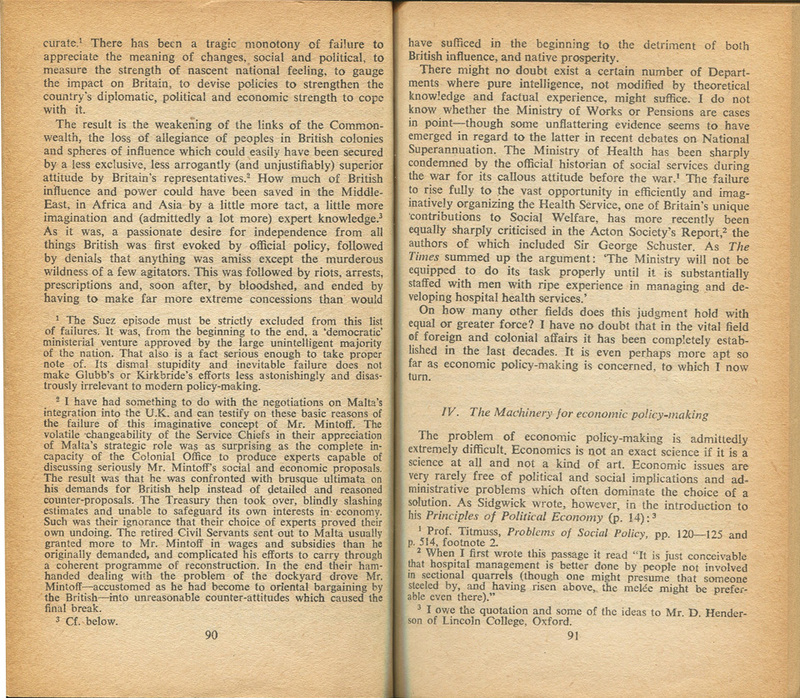 In some places, the typesetter’s skill is obvious: on the spread before the one shown above there are two half-line spaces between paragraphs, doubtless inserted in order to bring the first footnote reference on page 90 over to this page. Nowadays, of course, word processing and page design software do a lot of the work for you. But there is still some skill involved, manipulating the software, cutting or adding a word or two to push a reference forward or back. 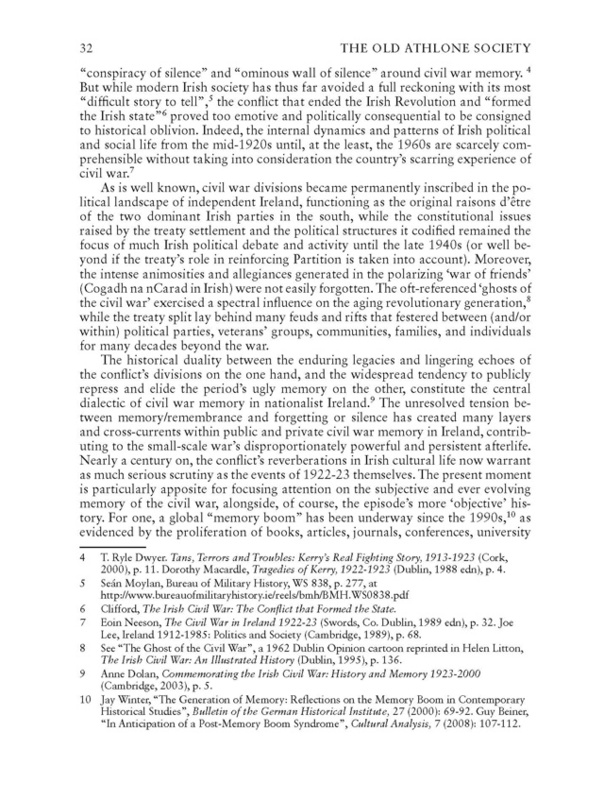 Here is a page from a local history journal which I designed recently, where each article had copious footnotes. Making up pages like this is engrossing work, but very satisfying. I like to use footnotes rather than endnotes in anything I design because they are much the most reader-friendly way of providing references. A glance down the page to check something is a good deal easier (and quicker) than scrolling to the end of the chapter or book. So even if a client has used endnotes in their draft, I tell them I’m happy to change over to footnotes for the final product. Harder work for me, perhaps, but it makes me happy. As a reader, what makes me very unhappy indeed is when a publisher cuts the footnotes completely from the printed book, telling you that you can go online to find them. A few years ago there was a phase when some firms tried to get away with this (one example can be seen in John Ramsden’s book Don’t Mention the War, published by Abacus in 2006). This mean, penny-pinching attitude and complete disregard for the reader should be countered at all costs.